The builders of this stunning new residence have created something special. Every square metre has been carefully considered in a home of expansive proportions, high-end appointments and uncompromised privacy and comfort. 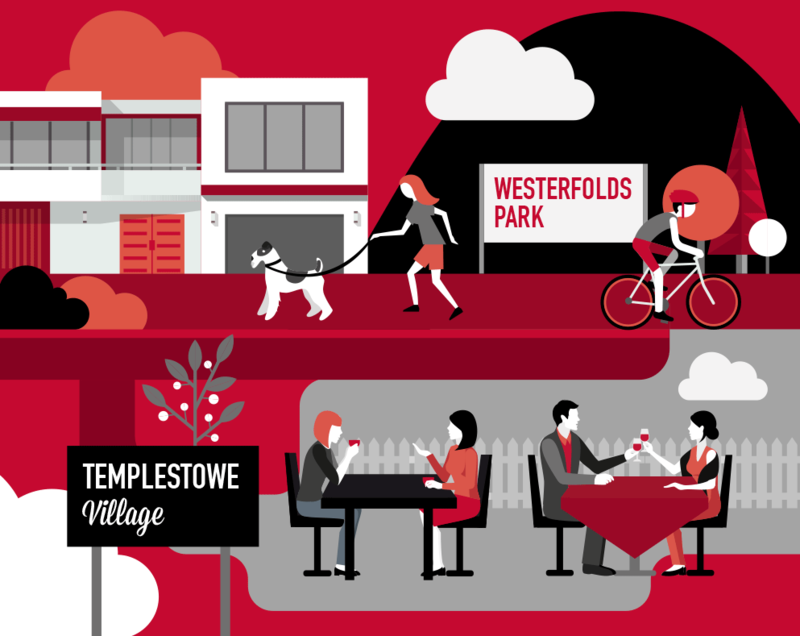 Set peacefully at the rear of the block on one of Templestowe's most desirable streets, a short stroll to Templestowe Village and Westerfolds Park, this 463 m2 (approx) property will exceed expectations at every turn. Timber floors, oversized double-glazed windows and high-end fixtures herald luxurious touches throughout. The home's centerpiece is the sprawling open lounge/dining area with built-in study nook/bar, adjoining a decked courtyard presided over by mature nectarine trees. The kitchen is also ideally suited for entertaining with its Bosch and Ilve appliances, stone benches and butlers' pantry. There are four robed bedrooms, including the inviting downstairs master suite with a wall of windows, and three upstairs double bedrooms. Hotel-style bathrooms are elegantly fitted with stone benches and semi-frameless showers. A formal study, oversized laundry and spacious upstairs retreat are among the home's other features. Additional inclusions comprise a double car garage, 6-star energy rating, zoned climate control, stylish solid oak floating stairs, solar/instantaneous hot water and ample storage throughout. Close to a wide range of amenities, including well-regarded schools, bus transport, abundant parkland and CBD access, this superb home is sure to impress!